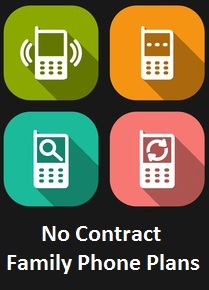 No contract family cell phone plans are meant to be an easy and economical way for families to purchase cell phone usage. In this review, we compare some of the best no contract plans for families on the market today, as well as tips to be aware of when shopping for these plans. No contract family phone plans are bundled packages of two or more individual monthly cell phone plans. (For more background information about what monthly plans are, how they work and compare with other no contract plans, check out the Monthly No Contract Cell Phone Plans guide.) Users receive discounts as a result of a family bundle purchase. Companies are usually flexible with these plans, allowing users who are related (family and close friends) to activate phones from different zip codes. However, family plans are usually managed under one account and billed together. Policies differ amongst companies, so if something is important to you, be sure to verify before you sign up. Pros Low cost, Good range of phones for kids, teenagers, adults, seniors Good range of phones; Discounts on family plan phones; Unlimited usage Great range of phones; Flexible plan options – family bundle not needed; Unlimited usage Cheapest family plan for 3 – 5 people; Best if everyone in the family needs heavy cell phone use. Cons No unlimited plan option. For families who aren’t heavy cell phone user and don’t need smartphones, it’s cheaper to get pay as you go (PAYG) $15/month individual plans for each person. This is not a family plan. Included for comparison purposes. There are no additional family discounts, but extra $5/month off for iPhone users. 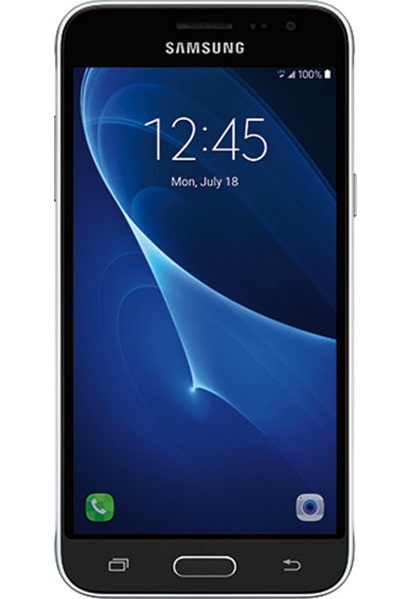 Most T-Mobile phones are priced high, which translates to higher upfront costs for phones. There is less choice for mid-range models or children and senior cell phones. 5 people max per family bundle. More Options. For a monthly plans comparison (includes all types of plans, not just those that have family discounts), check out the No Contract Monthly Cell Phone Plans Comparison. You may be able to find cheaper deals because of other discounts, or based on regular low pricing. Be sure to compare the cost of a family plan with the cost of buying several no contract or prepaid cell phone plans individually for family members. For many of us, one of the key reasons to go with family cell phone plans is due to the cost savings. Individual prepaid or no contract cell phone plans have gotten very inexpensive over the years. With the low cost of no contract cell phone plans starting at $10 a month, it may now be just easier, if not more economical, to purchase separate individual plans. Before deciding on a family cell phone plan bundle, consider the cell phone usage and preferences of each family member. Consider how much it would cost to purchase individual plans for each family member, and the potential or lack of savings when using a family plan. To compare different monthly plans, visit the monthly plan comparisons chart. For unlimited plans, check out this unlimited plans compared chart. While family cell phone plans could make sense for some families, it could also lead to less flexibility. For example, going with a family plan could limit the freedom of choice as each family member may have different cell phone preferences and plan needs. A teenager who uses her phone a lot may be attracted to Virgin Mobile‘s iPhone models and its $35/month unlimited plan, while her mum may prefer an LG touchscreen phone from Net10 and it’s $25/month plan is just what she likes. Going for a family plan may restrict the freedom of choice for family members. It could also be less expensive to just buy two single plans vs going for a family bundle. Check out this Providers and Plans chart for more choices and comparisons. One of the hindrances of family plans is that account management can get tricky when a member of the household moves away or want to start paying for their own plan. You will then need to make arrangements to move the number to separate bill. Besides losing the group discount (or a part of it), it means extra hassle in switching accounts or even companies. Some parents may consider it a good idea to let older teenagers have their own cell phone account. As they transition into adulthood, they can take over payments for their own account. Or else make arrangements so it is easy to close the old account and open up a new one without affecting the cell phone accounts or average plan cost of other family members. Sprint’s Framily plan may be a way to address this. Their Framily plan allows for group discounts while keeping account billing separate. Essentially, everyone on the plan gets their own separate bill. There are no annual contracts or early termination fees as well. Check Sprint’s Framily plan availability in your area. The only drawback with Sprint’s Framily plan is that the best discounts don’t kick in until you have 5 or more people. An initial plan for 2 starts at $50 per month each ($100 for 2), going down to $35 per month per person when there are 5 or more persons in the Framily group. It could be a good plan for a small business with 10 employees, and Sprint counts business groups as Framily (up to 10 per group). If you do choose to go with a family cell phone plan, be sure to check through the phone models offered by the prospective plan carrier. It’s best that there are appealing cell phone models for each family member. Consider family plans that offer users discounts on the cell phone purchases as well. This is especially so if you are buying expensive cell phones and paying for them outright. What Are No Contract Cell Phone Plans? – An introductory guide on cell phones and plans without contracts. Pay As You Go Cell Phone Plans Guide – Pay as you go no contract plans are the least expensive way to operate a cell phone.